If you’re looking for a short survey, the chances are you know that your customers’ habits are changing. Customers are busy, get a lot of email, and are hard to engage with. The shorter the survey you can build, the better – right? In fact, it’s worth considering…do you even want to run a survey? Or are you really just looking for customer feedback? For years, it’s been the default to grab a survey tool online, build a bunch of questions and send it out to customers each year to get feedback. Back in the day, people would go around with a clipboard, or mail out surveys in the post. Now they are emailed. Basically a paper process that’s been digitized. Huge percentages of customers only read their email on their phone. Try filling in a long form on that! Technology is allowing businesses to get closer to customers in real time, as they interact with their products and services. Leading brands like Amazon, Uber, Reed and Selfridges have spotted this trend. 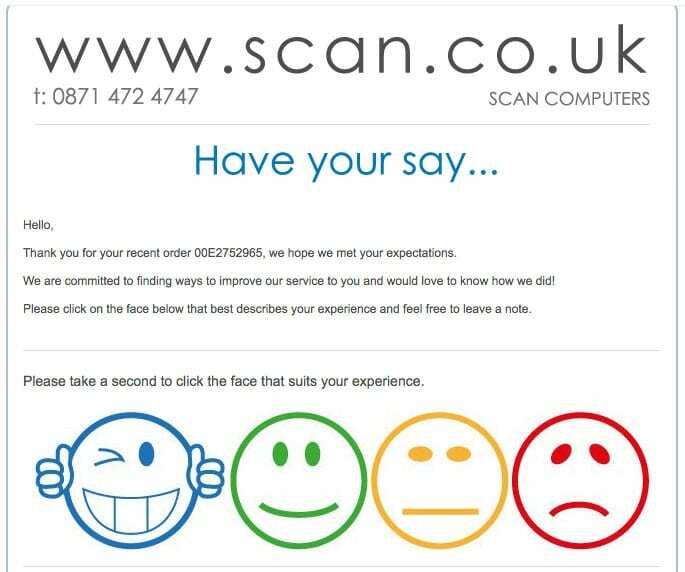 They need customer feedback to keep delivering the right service to their customers. But with customers increasingly ignoring surveys, they’ve had to change how they get that feedback. We’ve gathered together the 10 best new short survey methods we’ve seen for getting customer feedback, without hassling the customer. 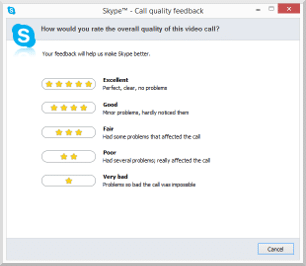 Skype pioneered the short customer survey a decade ago, with their “How was your call?” functionality. It helps them narrow down bugs and service issues proactively, and is a very visible way of demonstrating customer care. When we started Customer Thermometer, this was one of the most frequently asked-for types of survey. We’d get lots of questions from people saying they wanted to be able to ask for simple feedback ‘like Skype does’. Uber relies on drivers all over the world to run a safe and effective service for its customers. It knows that getting as much feedback from as many customers as possible is critical to its growth and positive word of mouth. Uber has north of 40 million rides a month. It’s completely unreasonable to ask riders to fill in a survey after each ride, so it created the Uber driver feedback screen to capture a quick snapshot from each rider. 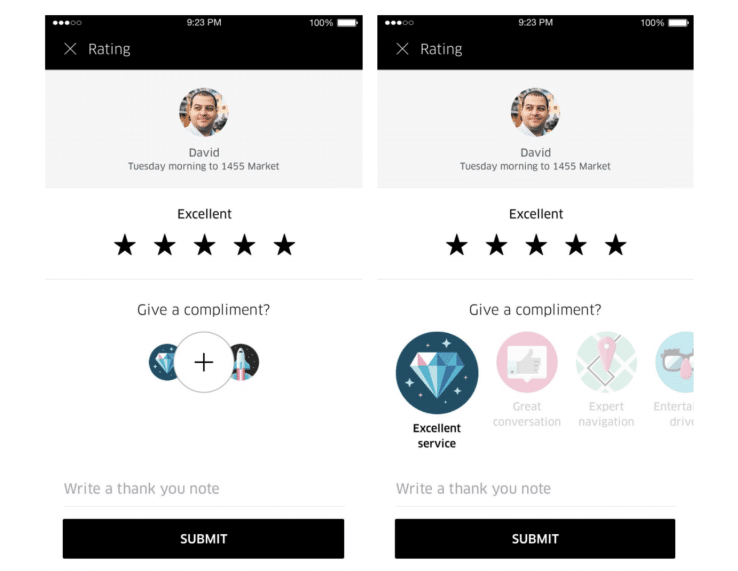 They’ve followed up that innovation recently with Uber compliments, a simple way for riders to add a bit of extra information to their rating. A whole slew of people and brands across the world make their money or sell their stuff on YouTube. They need feedback to shape their future uploads, and how do they get it? By the simplest means possible – the simple thumbs up and down feedback mechanism. It’s so simple and stealthy, the chances are you’ve been giving feedback for years and never really noticed! But these ratings really matter. It’s one of the ways Pepsi was able to pull its ill-fated Kendall Jenner advert so quickly. Within just a few hours, it had 15,000 thumbs downs, and only 3,000 thumbs up votes. 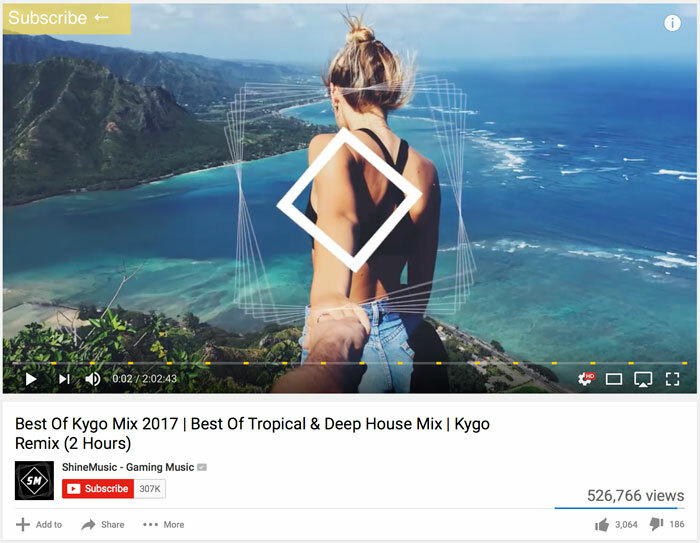 Check out this mix by Norwegian musician Kygo below. He can use his feedback to shape what he creates next, to grow his following and his views. Apple has hundreds of millions of customers all over the world, across products ranging from phones, computers and headphones to TV boxes and software. To keep customer support costs as low as possible, it’s imperative their online self-help text is as good as it can be. Enter on-page feedback. 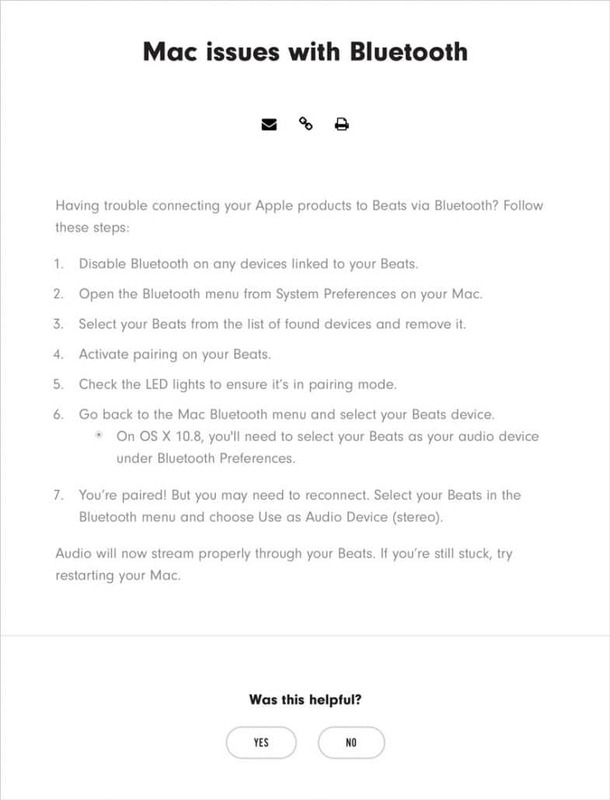 Using just simple “yes/no” buttons, Apple can narrow down on pages that need improvement, and also spot recurring customer product issues. Kaseya provides software to IT support companies all over the world. 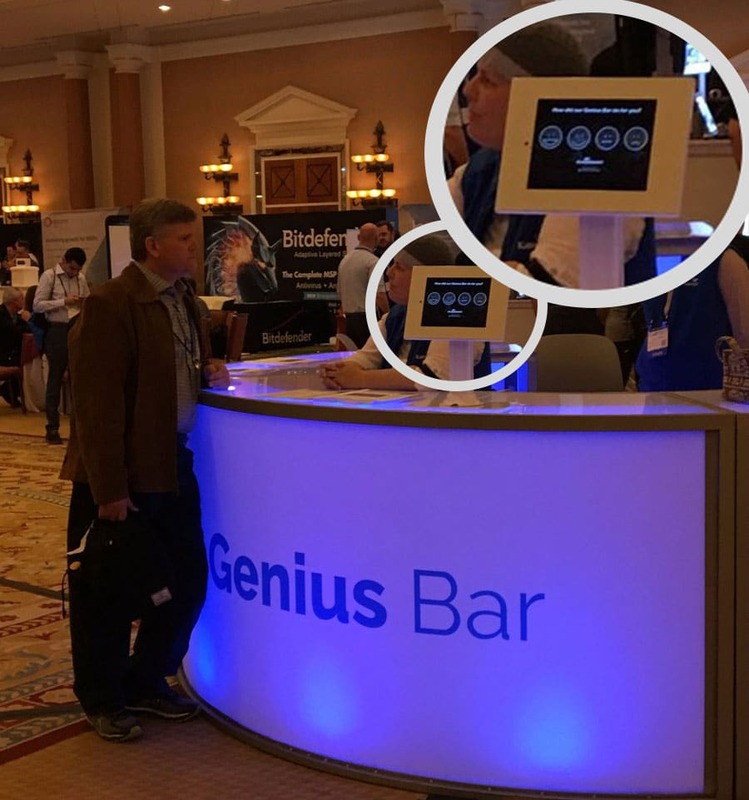 At their recent showcase event in Las Vegas, Kaseya had a Genius Bar. Customers could get advice and guidance on all things Kaseya. At times it was very busy, and the kiosk asking for simple feedback was hooked up in real time to the event organizers. They could see how they were doing and shape their onsite service as a result. One of London’s most famous luxury department stores, Selfridges has a booming online business too. They deal in high-end goods and have some of the most time-poor and demanding customers going. Selfridges premium delivery service is provided on a paid subscription basis. It offers bookable next-day hourly slots (think posh Amazon Prime!). If you’re charging for a delivery service, you need to be sure things are arriving on time, in perfect condition. They’ve plumped for an 11-point, 1-click rating system to get feedback. I find the layout confusing but the concept of 1-click at point of delivery is a real step forward from long surveys. Scan is Her Majesty The Queen’s personal supplier of computers, so they have a pretty important customer to keep happy! They keep their customer feedback process short and sweet, embedding feedback emojis right in the email they send. They keep the feedback private, enabling them to act quickly to rectify any issues. By asking for a simple click and a comment after their order or job is complete, it’s no burden on their customers. So important are its customer ratings to Amazon’s business model that it filed a lawsuit against websites offering to provide vendors with fake 4 and 5 star reviews recently. 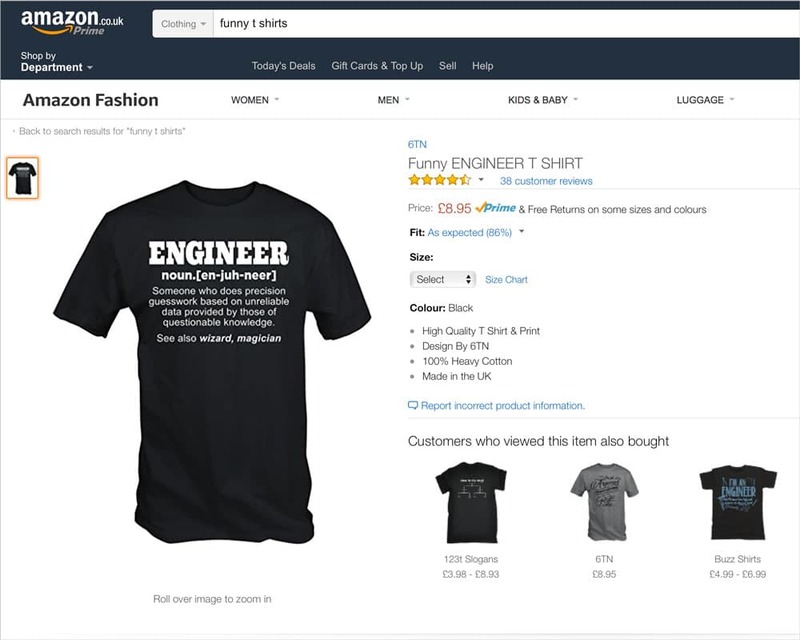 Amazon’s “one click and you’re done” customer reviews system helps people all over the world decide which stuff to buy. I know I’m heavily influenced by ratings when I buy through Amazon; its an integral part of the way I use the site. How do they get so many ratings? They keep it simple. You can click a rating and leave as much or as little comment as you like. To encourage usage Amazon even gamifies it by giving out reviewer badges, and asking people to rate others’ reviews as helpful or not. Tripadvisor has taken exactly the same tack. Reed Expo is the world’s leading events organizer, with more than 500 events in 41 countries, including the Global Gaming Expo, the Airport Show and the London Book fair. Innocent Smoothies (founded in 1998 and acquired by Coca Cola in 2009) famously used 2 trash bins to decide whether to start the business or not. They attended a music festival to offer the smoothies. People were asked to put their empty bottles in a “yes” or “no” bin depending on whether they thought the founders should quit their jobs to make smoothies. At the end of the festival the “yes” bin was full, with only three cups in the “no” bin, so they went to their work the next day and resigned. Innocent was born. In an online world, it’s amazing how easy it is to overlook physical feedback. Waitrose has had huge success (and been much copied) with its charity tokens scheme where customers put a real token into a plastic box to choose a charity. If you’ve got customers on site, this approach can be lots of fun. 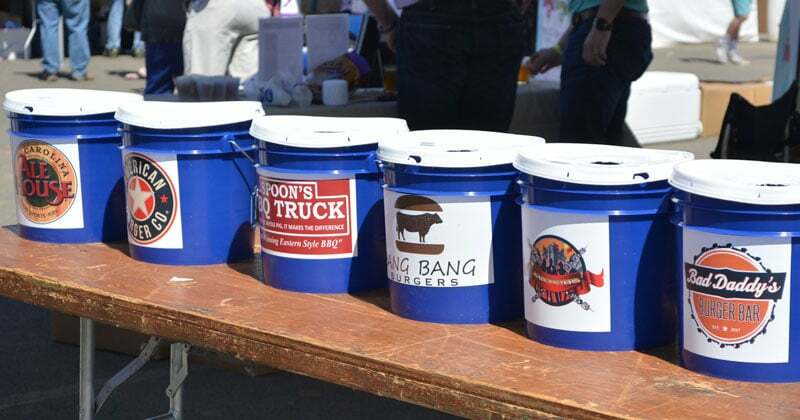 These buckets allow burger competition voters to easily vote for their favorite burger maker. What do all these short survey examples have in common? 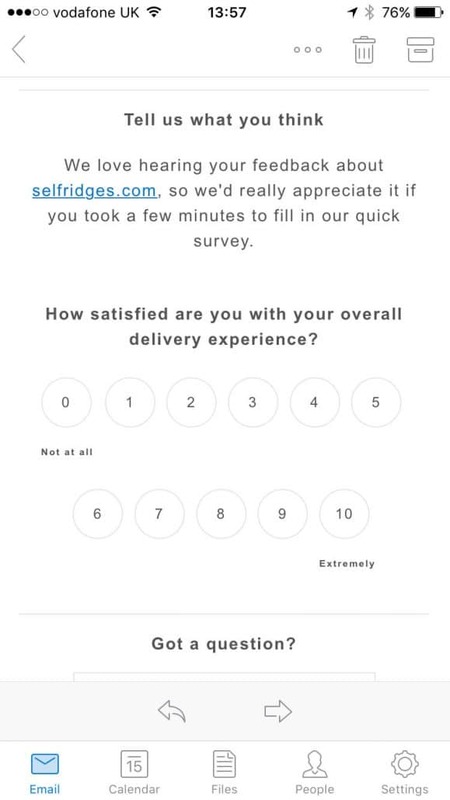 They are asking for feedback at exactly the point of customer interaction, and they’re not asking for a big commitment. Getting customer feedback this way has 2 great advantages. 1 – you’re asking for feedback when the customer is in the moment they are most likely to give it to you. There’s no misremembering or being distracted. The customer is dealing with your business at exactly the point they’re asked for their view. 2 – the customer is much, much more likely to give feedback if the mechanism is given to them on a plate. In all these examples, a very simple interaction is all that’s required to draw the customer in.